Hey everyone! Coming to you live from the Anchorage airport, about to head home from our Alaska vacation. Hopefully everyone’s been following me on Instagram to see some of the gorgeous scenery we’ve been lucky enough to be surrounded by for the past week! 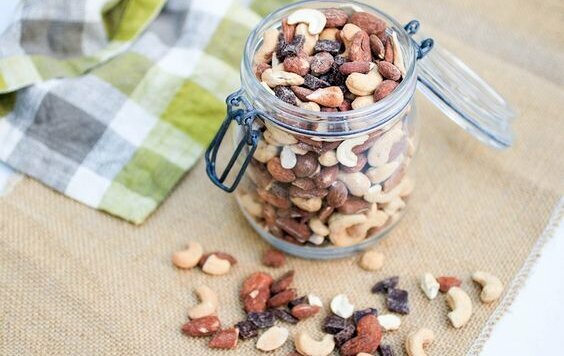 Did you know that today is National Trail Mix Day? It’s okay, I didn’t know either. When I found out this holiday existed a few weeks back it inspired me to create this amazing trail mix recipe for you guys. I also thought it would be the perfect opportunity to host a giveaway with one of my favorite companies, eatingEVOLVED! All eatingEVOLVED chocolate is free of gluten, dairy and soy. They use the fewest ingredients physically possible to create chocolate. No junk, no fillers, just the highest quality, Fair-Trade cacao lightly sweetened with organic maple sugar. Christine and Rick not only make a variety of tasty chocolate bars, they also had the absolutely brilliant idea to create Coconut Butter Cups. Think peanut butter cups but WAY healthier. Their motto, which I love, is “Chocolate: It’s Food, Not Candy”. Although I have to say, it’s pretty hard not to eat their coconut butter cups like candy! I for one am totally addicted to them. 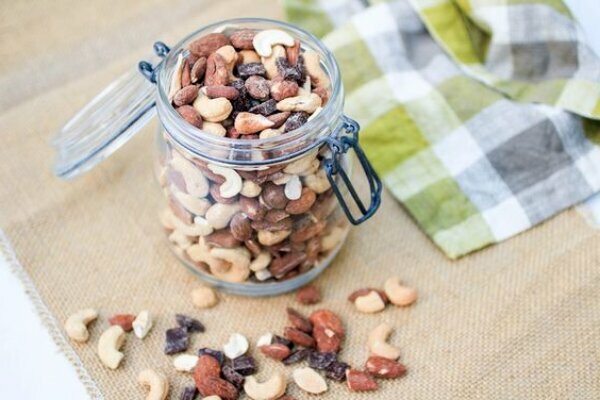 I was inspired to create this trail mix after trying a ver similar version at Trader Joe’s. After buying a couple bags and inhaling them, I decided to recreate it at home with far fewer ingredients and without the processed sugar and vegetable oil they use. Especially in preparing for our vacation, I knew I wanted to make a huge bag of this to bring with us! 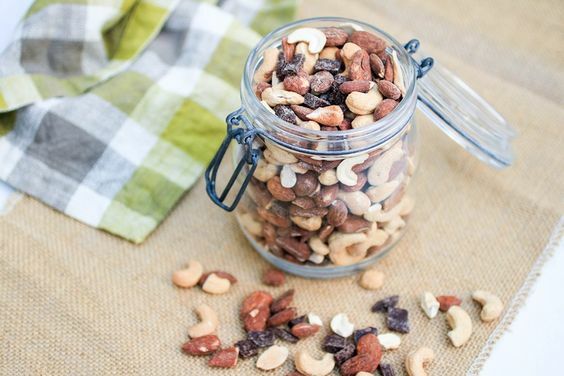 This trail mix has only 4 ingredients and features eatingEVOLVED‘s 72% dark chocolate bar. 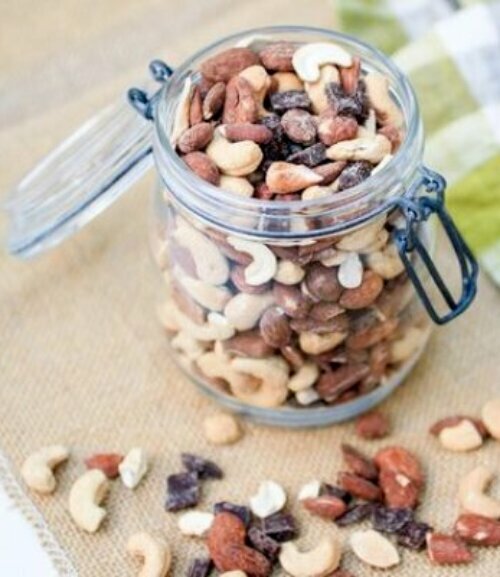 To make the recipe even simpler, you can buy nuts that have already been dry roasted. 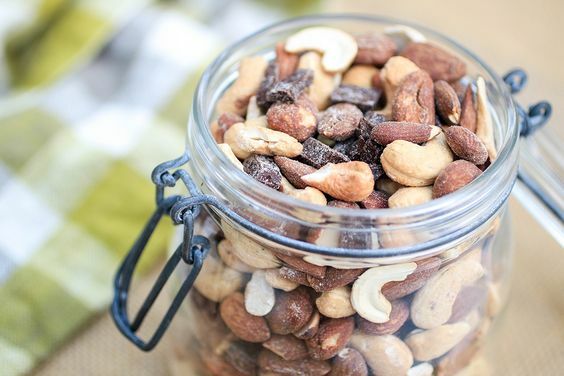 Just stay away from traditional roasted nuts as many are roasted with vegetable oils. Check out the recipe below and scroll down to enter the giveaway to win a one of each of their chocolate bars AND three of each coconut butter cups – a $65+ value!! The contest ends at midnight on Friday, September 4th and the winner will be notified via email. You must be located in the US and 18 years or older to enter. Good luck!! Spread out nuts on a parchment paper-lined baking sheet and bake for 5 minutes. After 5 minutes, move the nuts around a little bit to ensure proper roasting and continue to roast for 3-5 minutes. Check frequently to make sure nothing burns. The nuts will be done when slightly darkened and crispy. Place nuts in the fridge so that they don't melt your chocolate. Once cool, combine nuts, chocolate and salt and mix well.